Regarded as a group of sibling species by Kopelke (1996), Kopelke (2000). These are very difficult, perhaps impossible, to distinguish using adult morphological characters and we have therefore decided to treat them as an aggregate for the purposes of this website. According to records of galls on various identified Salix species, at least the following three species belonging to the group occur in the British Isles: E. auritae, E. purpureae and E. weiffenbachii. The larvae form elongated tapering swellings (galls) in the stems of willows (Salix species). 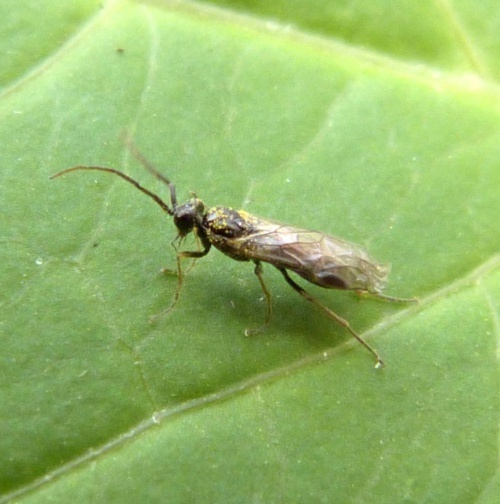 Widespread but little recorded in Britain.